Strategically located in the Phoenix Metropolitan Area’s Camelback Corridor, RiverRock has established strong tenant service and brokerage relationships in Arizona. 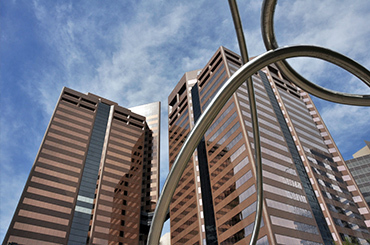 We manage more than five million SF of institutional-quality office, industrial, and retail properties in Phoenix, Mesa and Tempe, all solid commercial real estate markets, with continuing room for growth in the area’s important submarkets. Our experience optimally positions RiverRock to provide superior management services to investors, owners and occupiers. Our unique systems for marketing vacancies in this region make us a valuable partner for owners/investors looking to achieve the highest return on value.